Your fireplace is one of your homes biggest assets. As a focal point of your most commonly used room, it is a place for the family to spend time together and the focus of social get-togethers, as well as being an effective and cost efficient way to warm your home. To make the most of this asset, you must consider the reality that there is much more to your fireplace than just the hearth. 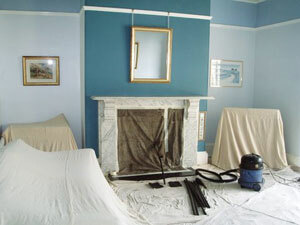 A clean chimney is essential to be able to fully enjoy the benefits of your fireplace. As well as being necessary for safe operation, our chimney sweep service in Halifax and across Yorkshire, helps to minimise harmful combustion gases which can pose a hazard to your family’s health. 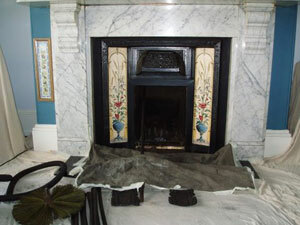 Whether you have a wood burning fireplace or using a multi-fuel stove, Kleen Sweep can clean, inspect and ensure the safety of your chimney from hearth to chimney pot! How often should I employ a chimney sweep? Please note however, that the exact requirement of your particular chimney depends on many factors, including how often you use it, the average duration of each use, the age and state of repair of your chimney, and also of your fireplace or stove. Sweeping your chimney on a regular basis is essential, as it provides a guarantee that your chimney will remain unblocked and in a good state of repair. Chimney sweeping also helps to prevent the collection of harmful carbon deposits, as well as hazardous gases like carbon monoxide and sulphur. Our customers remain loyal to Kleen Sweep and recommend us to their friends and family, primarily due to the fact that we treat every chimney with the time and respect it deserves. We believe that by taking a little extra care during each sweep, we offer a service unparalleled by other chimney sweeps in Yorkshire. At Kleen Sweep, we never cut corners. Before your chimney is swept, the room is thoroughly sheeted to protect your carpets, your possessions, your sofas and other furniture. For a competitive, no obligation quotation, please call us. Kleen Sweep serve Yorkshire, Lancashire, Derbyshire and the surrounding areas, within a wide radius depending on your requirements.